Would you believe that our street has a 15 kilometre speed limit? That's, er, just over 9 miles an hour. 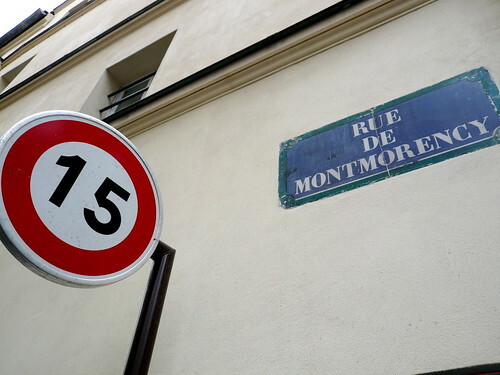 We don't get much traffic down there, but do you reckon that the Parisian drivers respect the limit? Or that the police enforce it? Nah... Nice thought though.